ICAHN collaborates with local Illinois hospitals and rural health clinics to provide the training needed to become a Rural Health Coach in your community. A Rural Health Coach is a volunteer who is interested in assisting others in your community to become healthier. Curriculum is taught by a coordinated care team, and coaches completing the program serve as trusted liaisons between your hospital/rural health clinic and your client to facilitate access to services and improve patient engagement. 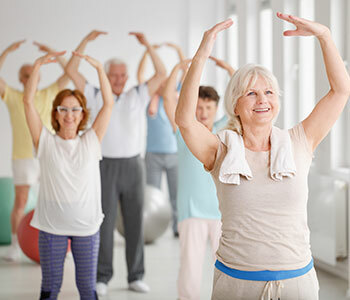 Regarding wellness activities, ICAHN’s Wellness Advisory Committee continues to provide opportunities for Illinois CAHs to identify best practices in the field of wellness and explore wellness-related programming for their respective communities. ICAHN has dedicated funding from the Medicare Rural Hospital Flexibility Grant to provide trainings, offer education, and provide technical assistance. Additionally, ICAHN provides strategic visioning and planning for wellness, the Professional Coach Advocate (PCA) Training, the Consumer Wellness Advocate (CWA) Training as well as “Train-the-Trainer” workshops. ICAHN provides technical assistance and resources for both its rural health coaching program as well as its wellness directives. Mary Jane Clark, MS, RN, CHES, CHWC, Grant and Wellness Coordinator (309) 331-4472.